Support our website by signing the visitor's book ! 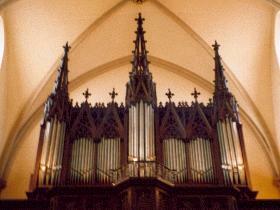 Claude Ignace Callinet's organ from MOOSCH (Upper Rhine) 1863. This website is dedicated to all organ fans . It keeps the occurences and events time table about organ in Alsace updated and this concerns Lower Rhine as well as Upper Rhine .districts. It's meant to be a permanent exchange place for all music lovers , organ players ,organ builders, who are the actors of an original cultural universe in which Alsace conceals one of the world richest patrimonies This website is yours and the founders'team thanks you for contributing to make it lively and dynamic! Let us know about it ! This is a forum meant to consult and post messages which inform you about organ concerts,organ and instrumental ones or organ and singing ones . 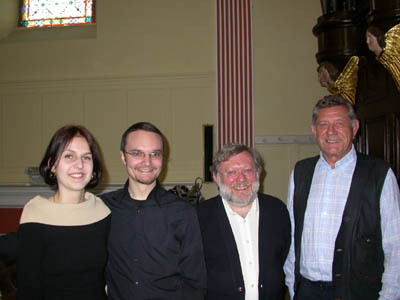 This is a page in which Alsatian organ players let us know about their concerts and their organistic events which take place outside Alsace.